You Paid How Much For Medicare? Medicare is a social insurance program administered by the United States government, providing health insurance coverage to people who are aged 65 and over, or who meet other special criteria. Some say that Medicare operates similar to a single-payer health care system, but with one key exception: Medicare Part A, the part that we pay for all of our working lives, only provides hospital insurance, and it doesn’t kick in until after the age of 65. Thus, Medicare is more akin to an excessively expensive, mandatory, long-term health care plan than anything else. Although there is a health insurance aspect to Medicare, known as Part B, it’s not free either. Medicare Part B requires the payment of additional monthly premiums upon retirement of between $96.40 and 308.30 per month, depending on the recipient’s level of income at the time. In the 1960s, Medicare was introduced to rectify the following problems: health care for the elderly and health care for the non-elderly with pre-existing conditions. The FICA tax was increased in order to pay for this expense. Both problems are listed below, followed by modern day private-sector solutions meant to address the same. The U.S. had no federal-government-mandated health insurance for the elderly; consequently, for many people, the end of their work careers was the end of their ability to pay for medical care. The U.S. had no federal-government-mandated health insurance for all those who are not elderly; consequently, many people, especially those with pre-existing conditions, have no ability to pay for medical care. Most Americans would be able to afford real health insurance, or better plans, were we not forced to pay huge sums out of our current pay, for benefits that some will never see. 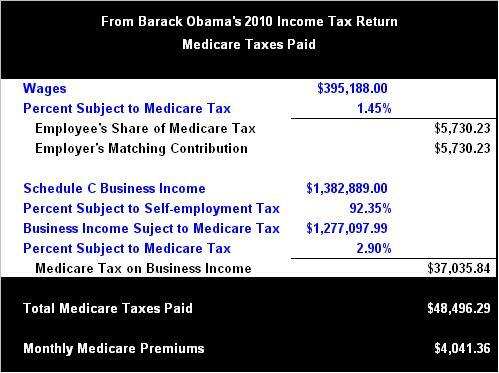 For example, Barack Obama paid a total of $48,496.29 in Medicare taxes in 2010 alone. This means he paid $4,041.36 per month for long-term hospital insurance benefits that he won’t realize until he turns 65. A portion of the $48,496.29, namely $5,730.23 was actually paid by his employer, which would be you and I. Could Mr. Obama perhaps find a better deal in the private-sector? I would hope so. Would you pay $4,041.36 per month for long-term hospital insurance coverage if you had a choice? “AFLAC… AFLAC… AFLAC”! Medicare has four parts: Part A is Hospital Insurance. Part B is Medical Insurance. Medicare Part D covers prescription drugs. Medicare Advantage plans, also known as Medicare Part C, are another way for beneficiaries to receive their Part A, B and D benefits. All Medicare benefits are subject to medical necessity. The original program was only Parts A and B. Part D was new in January 2006; before that, Parts A and B covered prescription drugs in only a few special cases. $450.00 per month (in 2011) for those with less than 30 quarters of Medicare-covered employment and who are not otherwise eligible for premium-free Part A coverage. All Medicare Part B enrollees pay an insurance premium for this coverage; the standard Part B premium for 2009 is $96.40 per month. 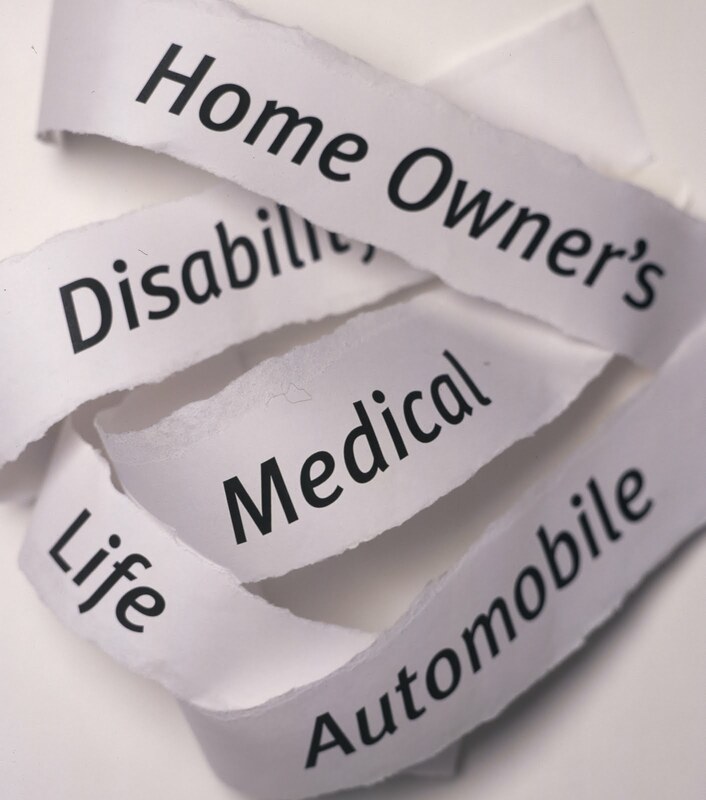 A new income-based premium schema has been in effect since 2007, wherein Part B premiums are higher for beneficiaries with incomes exceeding $85,000 for individuals, or $170,000 for married couples. Depending on the extent to which beneficiary earnings exceed the base income, these higher Part B premiums are $134.90, $192.70, $250.50, or $308.30 for 2009, with the highest premium paid by individuals earning more than $213,000, or married couples earning more than $426,000. In September 2008, CMS announced that Part B premiums would be unchanged ($96.40 per month) in 2009 for 95 percent of Medicare beneficiaries. This would be only the sixth year without a premium increase since Medicare was established in 1965. Medicare Part B premiums are commonly deducted automatically from beneficiaries’ monthly Social Security checks. Part C and D plans may or may not charge premiums, at the programs’ discretion. Part C plans may also choose to rebate a portion of the Part B premium to the member. While private-sector health insurance premiums are deducted from employees’ paychecks on a pre-tax basis, Medicare taxes are confiscated from employees on an after-tax basis. Is that fair? Upon retirement, if one wishes to pay for Medicare Part B, the premiums are conveniently deducted from retirees Social Security checks on an after-tax basis. Is that fair? Three-quarters of all taxpayers pay more in payroll taxes than income taxes. Do you get it now? It’s time for this to change. It’s time to stop confiscating money from today’s payroll checks to cover tomorrow’s health care needs. It’s time to give American citizens more of our own money so that we may provide for our current needs. All that we ever hear from the Democrats is how many Americans can’t afford health insurance. Did it ever dawn on any of them that maybe the reason we can’t afford health insurance is because we are being robbed blind by a 15.3% payroll tax? Out of every American paycheck, 15.3% is being literally looted and squandered by the federal government. We are being robbed by a 1933 law which has outlived its usefulness. It’s time to end Medicare and Social Security. All past obligations of Medicare must be immediately privatized through legitimate private-sector insurance companies. Why do you frame this only in terms of what you, the individual, get from Medicare taxes? I always viewed Medicare and Social Security as a collective way for everyone to ensure that everyone has at least a basic standard of living. I don't think that's too much to ask from the wealthiest and (supposedly) greatest and most moral society in the history of civilization. And do you really think that a 55 year old man with heart disease making $40k a year can afford decent private insurance simply by eliminating 15% of his taxes (of which he only pays 8%)? I hope I didn't come on too strong in my first comment on your blog. Obviously we don't agree on some things, probably many things, but I do enjoy your posts. Reasonable, intelligent conservatives are in short supply here in Texas. Keep up the good work.